In March, Wilt Chamberlain records the only 100-point NBA game for a single player, ever. In August, Marilyn Monroe dies of probable suicide at her home in Los Angeles. In October, the U.S. and the USSR face nuclear confrontation during the Cuban Missile Crisis. Beyond all that, we were also reading! Pick up one of these New York Times best selling books to remember the country’s cultural attitude for the week of April 22, 1962. Did you know that today is the unofficial official birthday of Twin Falls? While the town had been in existence for about a year, it wasn’t until April 13, 1905 that incorporation was filed in Cassia County. New city council members (called trustees at that time) included Paul Bickel – yes, that Bickel – and Sam Hamilton, who later served as mayor. The 1905 population of Twin was about 2000, so incorporation made sense in order for the town to pass laws and make decisions for the benefit of its citizens. So, although we celebrate 1904 as the beginnings of our wonderful metropolis (official now that we’ve hit 50,000), 1905 was the year we made plans for permanence. 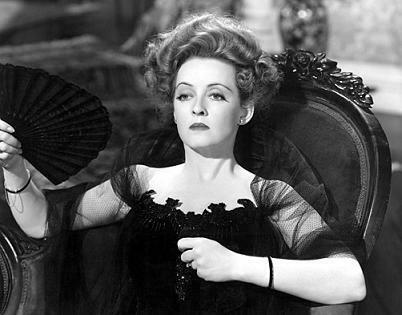 Silver screen icon Bette Davis was born on April 5, 1908 – 110 years ago. Depending on your age, you might remember her more for her sultry, smart, or smoldering movie roles (The Little Foxes, All About Eve), or more for her crazy ones (What Ever Happened to Baby Jane?). Or, if you’re my age, you might not be able to remember her without thinking of the Kim Carnes hit song of the 80s, Bette Davis Eyes.